Mulberry Lane Farm is located 3 miles east of Sherwood, WI. We offer an ideal country learning environment where people of all ages can interact with farm animals. Our philosophy at Mulberry Lane Farm is that learning can be fun. We provide hands-on experience to educate children and adults about farm animals. We just received word...it's official! 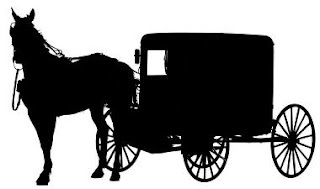 We'll be giving Amish Buggy Rides at our 2nd Annual Pumpkin Blossom Festival. Not only will we have yummy Amish made Pumpkin Pie (FREE slice w/paid Admission) we'll have Amish Buggy Rides too! (Buggy rides extra). Click on picture to visit our website!